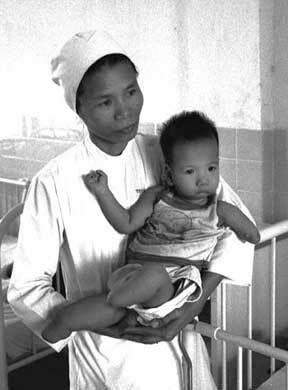 Male child with missing mandible (jaw) and abnormalities of arm and legs, Ho Chi Minh City, 1992. 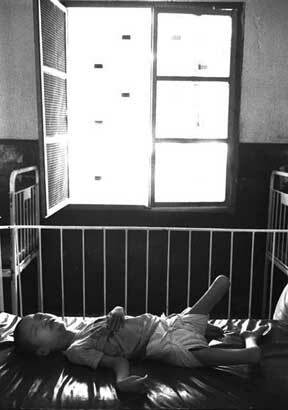 Male child with severe mental retardation and palsy, Ho Chi Minh City, 1992. 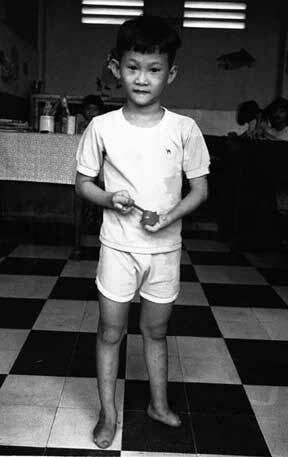 Male child with abnormalities of digits on hands and feet, Ho Chi Minh City, 1992. 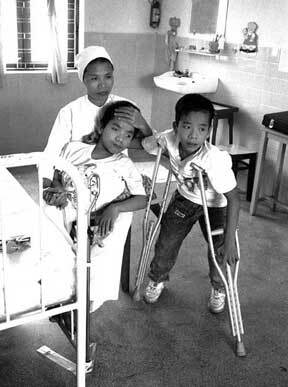 Siamese twins who were separated leaving one brother with severe mental retardation, Ho Chi Minh City,1992. 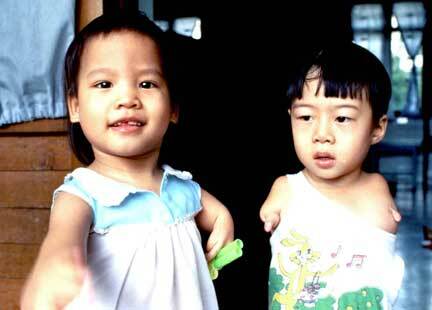 Female and male child with upper limb abnormalties, Ho Chi Minh City, 1992. Sister Bich with Ta Hoang, Ho Chi Minh City, 1992.